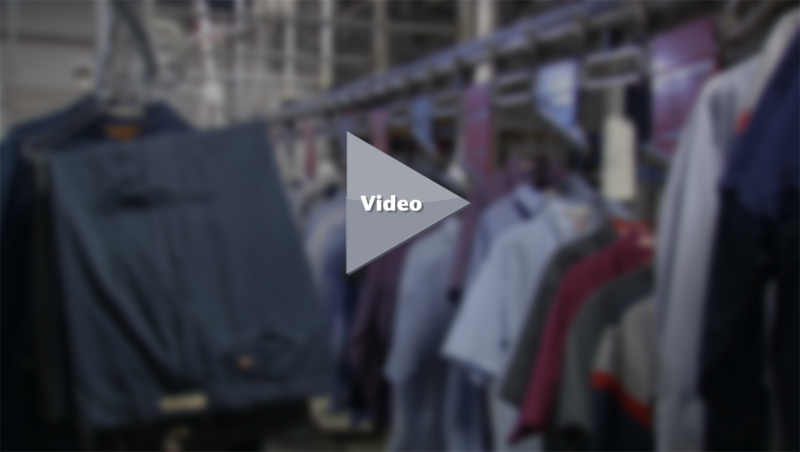 Ace Uniform offers a full scope of rental, lease-maintenance, and purchase programs, to provide our customers with flexibility in their company’s approach to uniforms and apparel. Our Uniform Rental Program offers low startup costs and the ability to budget your uniform costs over time. The Lease-Maintenance program offers customers a more affordable option by providing repairs and replacements as employees change, without the added cost of scheduled laundering service. Finally, our Purchase Program offers the greatest flexibility to select from our full catalog of apparel, with easy ordering from your sales rep in person, over the phone, or online. Whether you rent, lease, or purchase your uniform from Ace Uniform, you can count on personalized, responsive customer service. For more than 40 years, we’ve earned a reputation for quality products and exceptional service with businesses throughout the Mid-Atlantic. For complete, start-to-finish management of your company’s uniform needs, the Uniform Rental Program includes weekly pickup and delivery, laundering, repairs, replacements, and exchanges. Your sales representative will monitor the changing needs of your organization, make recommendations to improve efficiency, and be available to resolve any issues that may arise. Fully-managed program, including rental, repairs, and laundering, so you can focus on your core business. Low-cost to start and ability to budget costs over time. Garments are tagged with a unique ID code for each employee, for easy distribution at your facility. Small repairs like lost buttons or small tears are addressed with our Repair-Care system, so you consistently receive good-looking apparel that enhances your organization’s image. Garments can be replaced or exchanged as needed, based on feedback from you and your employees. Our state-of-the-art computerized wash system delivers exceptionally clean garments for a professionally cleaned look and feel. The Uniform Lease-Maintenance Program offers all the services and features of the rental program, with the exception of scheduled laundering service. This program is ideal for businesses that want the cost-savings of laundering their own uniforms, but still want the convenience of repair and replacement service. Garments can be replaced or exchanged as needed, based on your feedback, due to employee turnover, new sizing, or simply the need to update your look. Lower service cost than Uniform Rental Program and lower startup costs than Purchase Program. For the flexibility to purchase from our full catalog of apparel, and fast, easy ordering, the Uniform Purchase Program is ideal. We work with you on all aspects of your order, from selecting the most appropriate style and material to recommending the right color logo. We carry a full line of shirts, pants, jackets, caps, outerwear and more. Your sales representative can visit you in person to showcase the latest uniform styles and colors, or you can place your order over the phone or online.